What made you want to write a book after decades working as a forensic psychologist? Actually, I tinkered around with writing fiction for decades. I say tinker, but I was deadly serious about it. Sometimes too serious to open up and create without perpetual, harsh self-criticism. At some point, I decided to act on the old injunction “Physician, heal thyself.” I stepped away from my perfectionism and got down to work. How have your experiences shaped you as a writer? My work as a forensic psychologist involves evaluating and treating dangerous people with mental disorders. I am always aware that the stakes are high in this work. A risk assessment that is off target or a serious misstep in therapy can obstruct the patient’s progress, expose others to unnecessary risk of violence, or lead to my being assaulted. Doing intensive forensic assessment and forensic therapy with dangerous people required me to spend long periods of silence across the table from my patients. At times these extended silences were filled with an empty void. But at other times, they were pregnant with something (terrible or fragile) with momentum, something that wanted to emerge and take its chances in the external world of speech and action. This work has given me license to be nosy about people at a very deep level, at a level of deep wonder about how people experience life. This is great writing practice, learning how to sit with powerful emotion—those of your own, those of your patient (or character)—while you work to open up a space for something new. Of course, the exotic, often perplexing personalities I have encountered in this work have contributed to some of my characters, but the experience of sitting with them has informed everything else. Another experience that shapes my writing is a persistent sense of justice that I’ve had my whole life. Ever since I was a child, I’ve sometimes felt an intense sense that something unfair or unjust was happening to me or others and that no one would listen. This often led me to writing letters to my parents, teachers, and romantic interests that I was usually wise enough not to send. Writing those letters was cathartic, but they would sometimes become more than self-solace and take off on wings of their own. I would then see my personal complaint as experiential ore for poetry and fiction, stuff that I could refine into something valuable to others through character, story and self-reflective language. The themes and character development of my fiction parallel this personal process. Key characters often have a poignant awareness of injustice that sparked them to action. Many characters—including some of the criminals—long for completion through a performance or exchange, but the experience continually eludes them until an injustice is addressed. What does a forensic psychologist do? Forensic psychologists practice psychology in legal contexts. They perform evaluations to answer psycho-legal questions, like: Is a defendant psychologically fit (competent) to participate in a trial? Was their crime a result of the person’s mental illness impairing their ability to know what they were doing or that the act was wrong or illegal? How likely is it that a sexual offender or domestic violence perpetrator will repeat these kinds of crimes? Forensic psychologists also provide forensic treatment. This is similar to clinical treatment for mental disorders or problem behaviors, but the focus is on preventing the recurrence of dangerous behavior. What made you decide to write fiction in particular? I decided to write fiction largely because I believed I had an aptitude for it and that this capacity, or talent, came with a responsibility. It’s similar to how the responsibility to stand witness comes from having been present for a significant event and having some degree of unique knowledge about it. I believe that fiction, like all the arts, is a mode of knowledge. It is valuable because it allows us to feel and perceive in new ways. Those new points of view are often introduced to us by characters who are unlike the people we know in our own lives. And if the characters are familiar to us, we get a more intimate look at them. Fiction brings us “inside” these characters and shows us what the world looks like from their perspective. Fiction is the one creative art that gives us this inside perspective through language. It is not exact knowledge. It’s more like the kind of knowledge you acquire by intensely playing a game until you dissolve into the flow of the game. There is no substitute for fiction, although you don’t need it to live. It doesn’t bake bread, it opens hearts and minds. 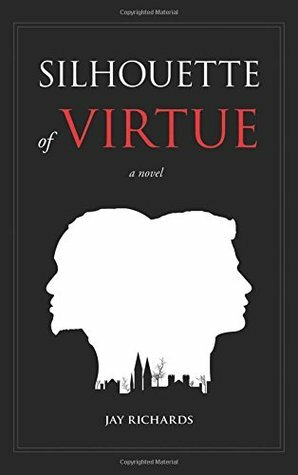 What inspired the plot for Silhouette of Virtue? The plot is loosely based on a series of sexual assaults that actually occurred on the campus of a Midwestern university that I attended in the mid-70s. In the real case, a popular African-American graduate student was accused of being involved in the crimes. Early on, I viewed these happenings as having cultural significance, especially in regard to how it forced students into two camps, one that viewed the charges as racially motivated, and the other that insisted that race had nothing to do with his being a suspect. I observed these events from the fringes, and after I left the university town I got only fragmented glimpses as the chain of events played out over several years. There was no internet and the local papers buried the story. I had no way to follow it closely. As a result, my imagination was given considerable rein. I bumped up the ante by accelerating the pace of events and by making the both the accused man and the amateur sleuth who tries to find the truth African Americans on the university faculty. How did people you’ve met in your years of work shape the characters for the book? In his poem “Little Gidding,” T.S. Eliot writes of a poet who meets “a familiar compound ghost, both intimate and unidentifiable.” I consider the characters in my book combinations of real and imagined people. One of the criminals in the novel is a combination of a close childhood friend, a sadistic patient I had in a therapy group in a forensic hospital, and a black Trickster-figure character (Skeeter) from John Updike’s Rabbit Redux. There’s also a character (with a nod to Superman’s Lex Luther) who uses his authority to mastermind crimes that is based on an eminent scientist who tries to hide his mean streak. The protagonist and sleuth, Dr. Nathan Rivers, is the admixture of a perpetual grad student in philosophy who had a noble and compassionate soul, and my impressions of several African American poets, whom I’ve never met in person. And, oh yes, I shouldn’t forget, a good pinch of Basil Rathbone as Sherlock Holmes in the 1939 film Hound of the Baskervilles. Do you have plans to write another book soon? I’m playing with the elements of what may become a sequel to Silhouette of Virtue. 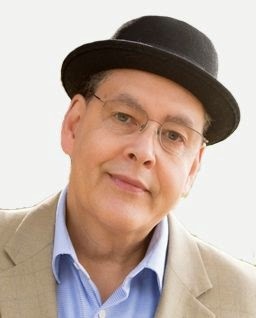 It would feature the philosophical sleuth from the first novel, Dr. Nathan Rivers, but in a totally different setting, and perhaps even a different era. I would like that book to have some of the adventure, suspense, detective themes, and investigation of racial and sexual identity (as well as wry humor and parody) that are in Silhouette. I also have a book in progress. It’s a Bildungsroman along the lines of Joyce’s Portrait of the Artist As A Young Man and Haruki Murakami’s Norwegian Wood, and portrays a kind of coming of age story over the course of a decade and which also captures the tone of culture and society during that passage. The story is set in both America and Africa, and is inspired by my travels in Nigeria during my own coming of age (mid twenties) and my brief friendship with novelist Leon Forrest. Forrest was a writer who was deeply African American and also somehow African in his sensibility, which was more like that of a lyrical epic poet or African praise singer. Remembering and thinking about him gives me hope that I can pull together something that covers all this territory in an interesting way. What’s one thing you want people to take away as a message from your book? A suspense novel tells the story of a mystery about the identity and whereabouts of evildoers. The most important clues are in the aberrant or flawed personalities of the criminals, which are always partially revealed and partially concealed in the crimes they commit. The big message of the Silhouette of Virtue, like many detective mystery stories, is that by trying to untangle a mystery like this, we readers learn more about the mystery that is all around us and within us and others. In other words, the take home message is that the real world all around us is a terrifying, beautiful, and mysterious place and we are part and parcel of that world. In Silhouette, does your protagonist, Dr. Nathan Rivers, pretty much reflect your own view of the world and how it operates? Yes, I think so, but he acts on that worldview more consistently and courageously than I can. He’s a lot less worried about making big mistakes. Like Rivers, I’ve always been drawn to people of diverse backgrounds, ethnicities, and complexities of all kinds. Also, I’ve always wanted to understand what it means to lead a well-lived life, which is a central motive that drives Rivers in the book. Finally, as a black man myself, I share with Rivers the “double-consciousness” that African Americans often develop as being in the American society, but not of it in many ways. This dual identity frees me, like Rivers, to look at America from “the outside” and propose something that I believe is ultimately more American. JAY RICHARDS, PhD is a forensic psychologist whose specialty is the evaluation and treatment of violent offenders, such as homicide perpetrators, mentally ill killers, and sexually violent predators. In the field of criminal psychology, he is known for ground-breaking research, innovative and provocative theoretical papers, and evocative and insightful case studies of psychopaths and other mentally disordered offenders. Dr. Richards’ early clinical experience was gained during National Institute for Mental Health (NIMH) pre and post-doctoral fellowships in clinical psychology at the federal psychiatric hospital in Washington DC that was then responsible for mentally ill persons determined to be dangerous to the president, or other persons protected by the Secret Service. A decade later, he was retained as an expert by the US Marshals to review adequacy of treatment received by White House cases and the degree of continuing risk for violence that would be posed, if they were released from confinement. He was the director for Behavioral Sciences at the Patuxent Institution in Maryland, a treatment program for offenders with mental abnormalities or emotional imbalances. He was the director of Special Commitment Center, a facility for Sexually Violent Predators located on McNeil Island, Washington, once the site of the federal prison that predated Alcatraz as America’s first island prison. Dr. Richards is affiliated with the Criminal Justice Department at Seattle University where he teaches courses on topics such as the nature and implications of severe psychopathy and understanding and managing dangerous offenders. As part of his affiliation with the University of Washington, he chairs a panel of professionals charged with reviewing the risk posed to public safety by the possible release of patients held involuntarily in psychiatric hospitals because of their history of criminal offenses and active mental illness. Girl Who Reads is an Amazon advertising affiliate; a small commission is earned when purchases are made through the above link. The views, opinions, and views of guests are their own and do not necessarily reflect those of Girl Who Reads.